The client wished to beautify her garden. 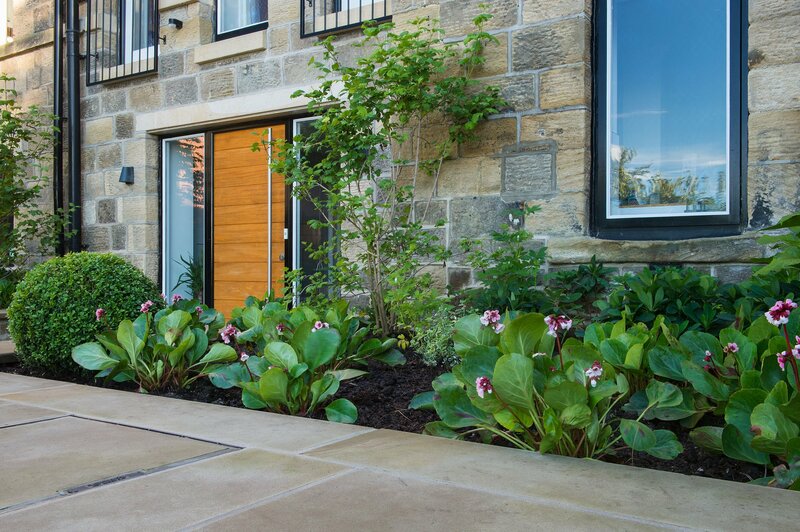 The existing planting had been planted by the previous owner, a property developer. Clearance & minor landscaping modifications (by Steve Ferris Landscapes) provided a near blank canvas for a Planting Design. Working round the retained mature purple acers, trained apple tree and cherry tree, we worked on a planting scheme to reflect the client’s love for curved and rounded shapes as well as roses. The repeated box balls create a rhythm round the garden and structure for winter. Some of the planting has given considerable impact in the first year. Others will take another 2-3 years to pack their punch. The challenge with this garden is the existing steep level change from house to garden, and the dominance of the existing boundary fences, which over time will be softened with plants. The clients wanted a planting scheme for their back garden which had been recently landscaped by Thomas Moore Landscapes. The only plants existing were mature trees along the lower boundary. Defined borders were created. 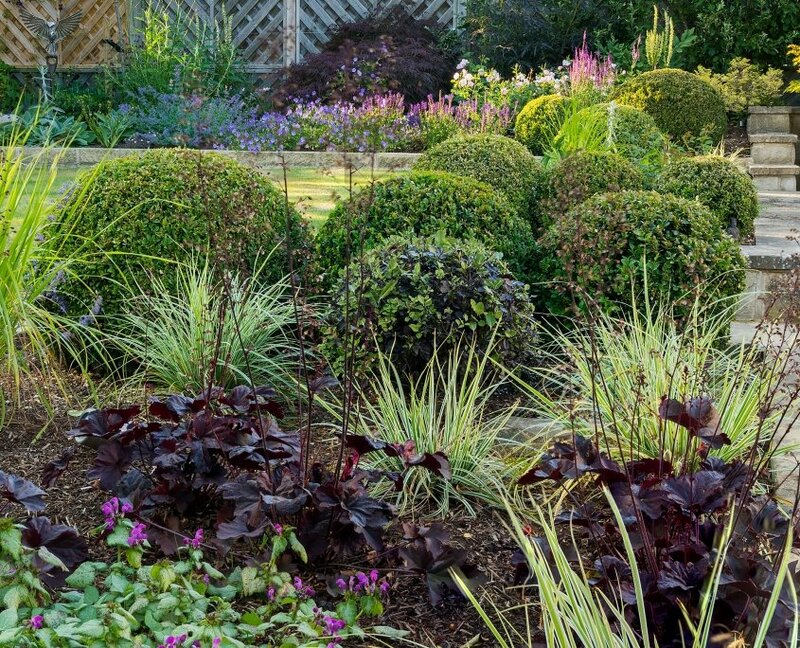 The design involved defining areas within the garden; structural planting for screening and softening, and a serpentine beech hedge along the lower boundary. 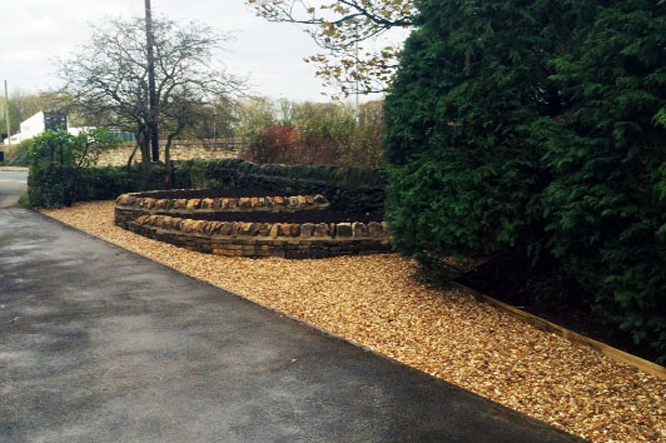 Espalier and fan trained fruit trees will be planted against the south facing retaining walls during winter 2015/16. The client wanted to address the area along her drive which was heavily overgrown with dull mature shrubs and mostly evergreen. Although a keen gardener, she needed some creative ideas to improve the visual appeal when the garden was viewed from the house and on her approach home. A raised bed area was requested too. Key mature specimens were identified and retained and raised beds at different heights added interest. The client wished to source and plant the area herself, working from the plans provided. The brief was for a contemporary, clean, stylish look to reflect the modern style of the newly built home. 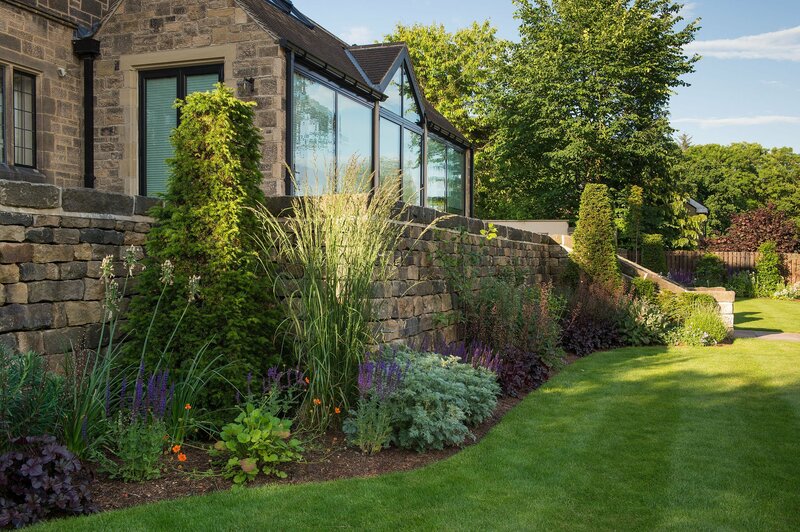 The clients were keen to avoid obscuring the views of the moor, so the planting needed to be predominantly low growing and be able to withstand the exposed weather conditions in Yorkshire. 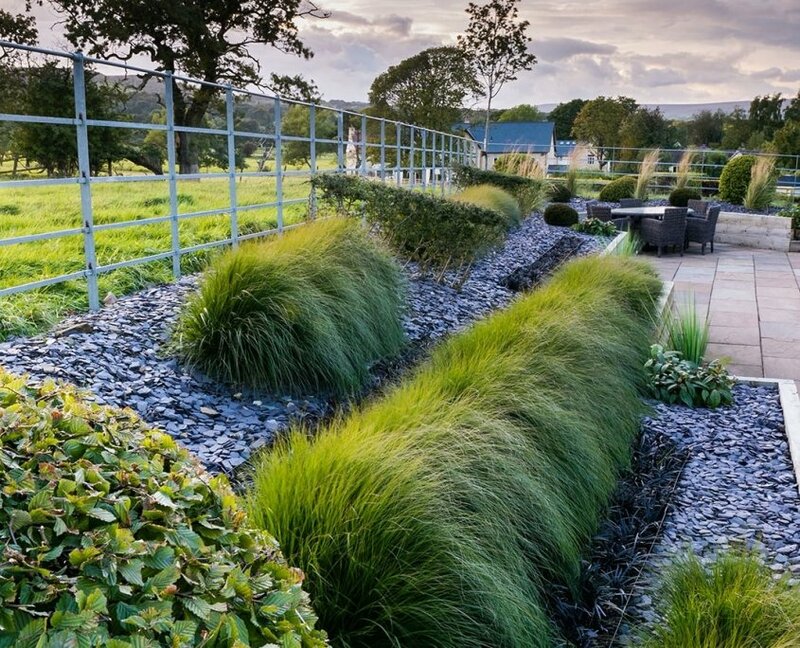 The design challenge was to realise a planting scheme which suited the client’s brief whilst working harmoniously with the landscape beyond. The client wished to replace the planting in all the borders (raised beds and along the rill) in a sunken garden and around the terraced lawns. The existing planting lacked impact and had morphed into greens and purples. The brief was to provide colourful impact during the summer months. This is a garden were I continue to maintain the plants in the redesigned borders. 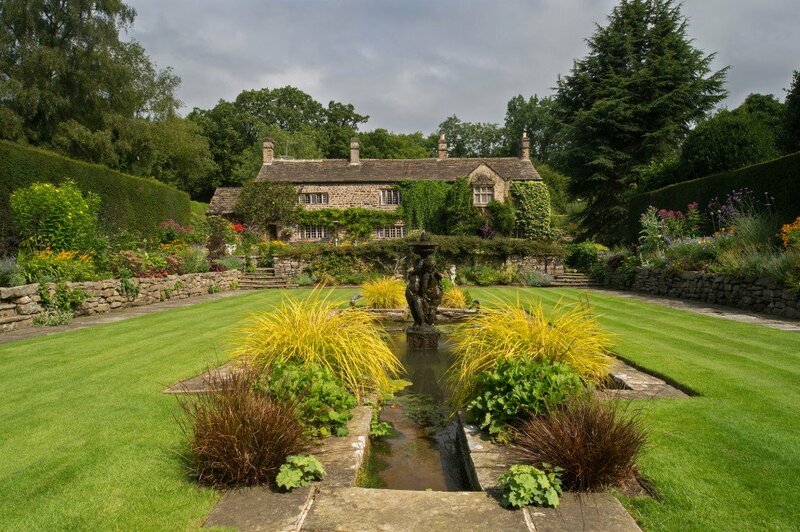 A new bespoke service was developed here for the client wanting to rejuvenate the garden planting scheme in time for a garden party. Approached in March, a party in June, and busy with existing clients there wasn’t the time for a fully considered typical Planting Design. Not wanting to leave the client high and dry, I offered a planting solution in a blitz! Photos taken a month after planting.